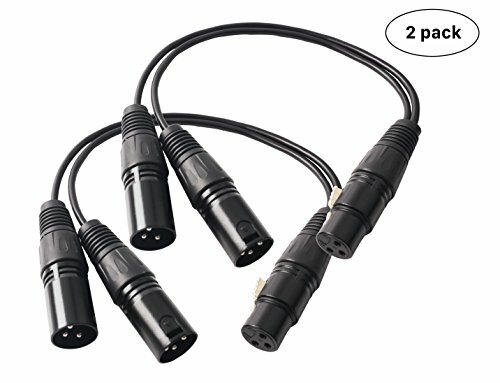 Devinal XLR Y Cable is is designed to connect an XLR output to two XLR inputs and it may now be your best choice for assigning the signal from a microphone to two channels on a mixing console. MATERIAL : Oxygen-Free Copper (OFC) conductors for enhanced signal clarity; OFC spiral shields for effective EMI and RFI rejection and flexibility. EXCELLET SOUND : Balanced solid conductors, Dual Shielding, Corrosion-resistant Gold-Plated connecters making the sound signal transmits with minimal signal loss. SERVICE : Length: 1 Feet / 30 cm ; Lifetime Product Support And Customer Serivce.